This restaurant chain did not fire Paula Deen and has nothing to do with Smithfield Foods. As we mentioned yesterday, Paula Deen had been dropped as a celebrity spokesperson for Smithfield Foods, a decision that has upset Deen supporters, some of whom have been writing angry notes to Smithfield’s Chicken ‘N Bar-B-Q, a completely unrelated business that happens to share the Smithfield name. “I guess people have really embraced her, because these messages are a lot more … I don’t want to say venomous, but a lot more intense,” a rep for the North Carolina-based restaurant chain tells Triangle Business Journal. The BBQ business says it has no opinion on the topic of Paula Deen, but it has been trying to respond to all complaints that have confused the restaurant with the Virginia-based ham giants. “[I]t certainly has been a challenging exercise in social media,” says the rep. 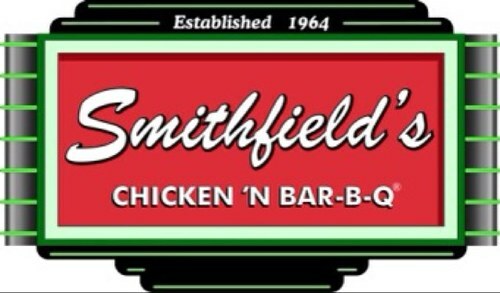 This is the second time this year that Smithfield’s Chicken ‘N Bar-B-Q has had to publicly distance itself from Smithfield Foods. The ham company announced earlier this spring that it was being sold to a company in China, and angry customers began writing to the restaurant thinking that it was the other Smithfield. The eatery had to post an explanation of the difference between the two companies on its blog. “Our next location will be in Greensboro with no plans for a Guangzhou location,” joked the restaurant at the time.